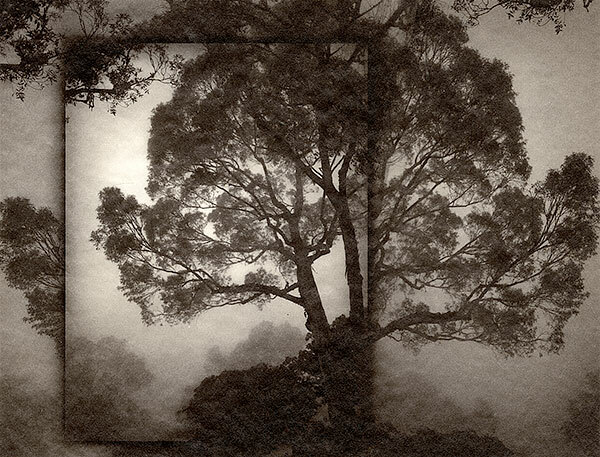 Jennifer Schlesinger is an artist, curator and writer based out of Santa Fe, New Mexico. She graduated from the College of Santa Fe in 1998 with a B.A. in Photography and Journalism and was an adjunct Professor there from 2005-2006. Schlesinger has exhibited widely at regional as well as national and international venues such as the Southeast Museum of Photography, FL and the Chelsea Art Museum, NYC. Her work has been published online and in print with publications such as Black and White Magazine U.S and UK, and Diffusion Magazine. Schlesinger is represented in public collections, including the Southwest Museum of Photography (FL), the Huntington Botanical Art Collections (CA), The New Mexico Museum of Art and the New Mexico History Museum / Palace of the Governors Photo Archives. She has received several honors in recognition of her work including a Golden Light Award in Landscape Photography from the Maine Photographic Workshops in 2005. She was a nominated finalist for the Willard Van Dyke Grant by the New Mexico Council of Photography in 2005; and in 2007 she was a nominee for the Santa Fe Prize for Photography by the Center and the Eliot Porter Fellowship by the New Mexico Council for Photography. In that same year she was awarded the Center for Contemporary Arts Photography Auction Award in Santa Fe, New Mexico. She has taught for the Sante Fe Photography Workshops and the Center for Alternative Photography. She was the Assistant Director of Santa Fe Art Institute from 2003-2005 and has been the Director of VERVE Gallery of Photography since 2005. Opening Reception: Thursday, January 7, 2016, 7 – 9 p.m.
Holly Roberts’ first national exposure came in 1989 with the publication of the monograph, Holly Roberts, from the Untitled Series published by the Friends of Photography. Although her work has always been based on the photograph, it is the inclusion of paint that makes it distinct. 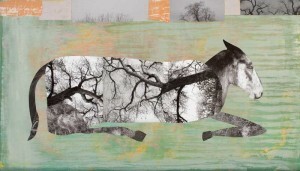 Her recent works develop a narrative scene with collaged photographic elements, making use of familiar or iconic stories to address tougher questions about man’s effect on the land and the animals that inhabit it. In 1990, Nazraeli Press published Holly Roberts: Works 1989-1999, and in 2009, Holly Roberts: Works 2000-2009. Her work is held by more than 30 museums and universities. A dedicated teacher as well as a prolific artist, she has had a profound effect on a community of artists around the country. She currently lives and works in the Southwest.